Kathleen is an experienced trial and appellate lawyer who represents plaintiffs and defendants in high-stakes civil litigation, and who provides strategic counseling, including at the intersection of litigation and high-profile public policy. Her practice spans commercial, regulatory and constitutional matters. She has worked closely with industry and government leaders facing complex challenges involving litigation, policy, and politics. She also has significant pro bono and public-oriented litigation experience. In all of her representations, Kathleen brings a deep concern for the client and the client’s objectives, and the tireless effort needed to achieve those objectives. 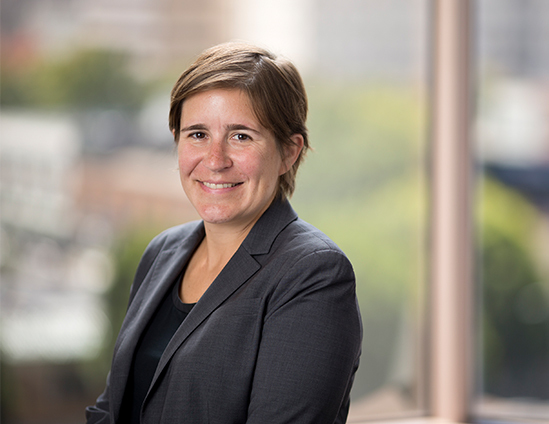 Kathleen joins the firm after five years in the Obama Administration. Most recently, she was Deputy Assistant Attorney General in the Civil Division of the U.S. Department of Justice (DOJ), where she oversaw the Federal Programs Branch, which represents the federal government in high-profile civil litigation. At DOJ, she personally led and participated in many cases of national importance, including those involving the Affordable Care Act, Dodd-Frank, the President’s immigration initiatives, and the President’s assertion of Executive Privilege in the “Fast and Furious” litigation, arguing several such matters. She supervised major cases involving the Departments of Treasury, Health and Human Services, Homeland Security, and Defense, and the SEC, among others. Prior to DOJ, Kathleen served as Special Assistant and Associate Counsel to President Obama, where she counseled the President and other officials on constitutional, regulatory, and oversight issues. Before her government service, Kathleen was a co-founding partner of a Washington D.C. litigation boutique, where she litigated commercial disputes and represented nationwide classes of antitrust and consumer protection plaintiffs. She previously litigated trial and appellate cases at the D.C. office of a national law firm, including a $1.4 billion fraud trial and significant constitutional and Supreme Court litigation.